Let the games begin! It “feels” like 7:00 p.m. to me, but locally it’s already 10:00 and time to wind it down for the night. One challenge with driving west-to-east, cross-country, is that dealing with all those time-zone losses. I’ve arrived at my destination in Oakwood, northeast of Atlanta. 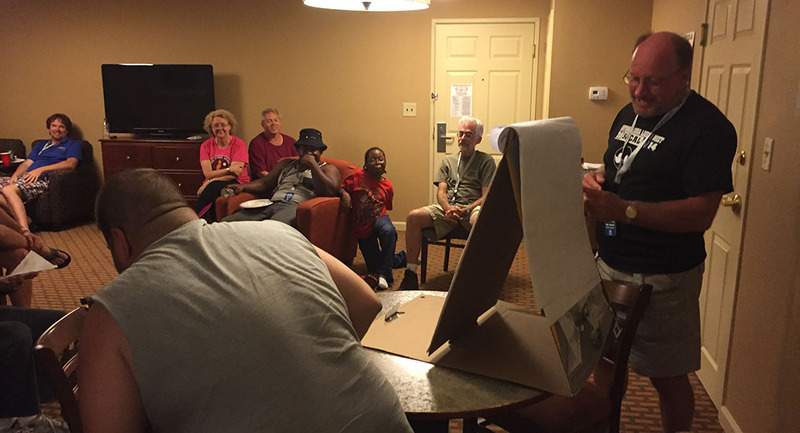 For a few frustrating minutes – or probably closer to 45 – I fought heavy traffic northbound on Interstate 85 from metro ATL and that caused me to be late for this evening’s pizza party here at the Best Western Plus Hotel. No matter, I still enjoyed a few slices and it was great to be reunited with old friends and make a few new ones. 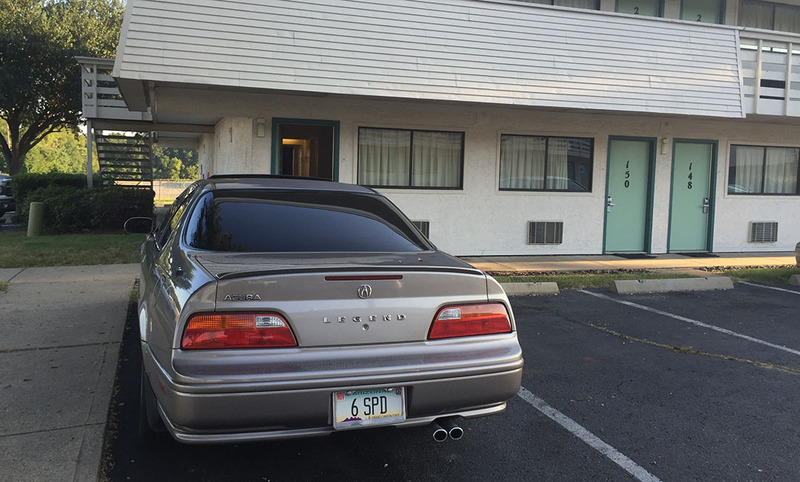 This is now the 12th time I’ve attended the National Acura Legend Meet. And it’s my car’s 11th. The only one it missed was 2012 in Milwaukee, Wisconsin when I drove the then-brand-new ILX. This morning started out bright and early in western Louisiana. The humidity was high as I departed Motel 6 off Interstate 10 and started my eastward journey into the sunrise for the day. The nice thing about today’s drive was that the states went by much more quickly. In a matter of hours I’d crossed multiple borders off my list. Lunch (though my internal time clock told me it was breakfast) was at Starbucks in Jackson, Mississippi and I later had a bite at Burger King in Birmingham, Alabama. 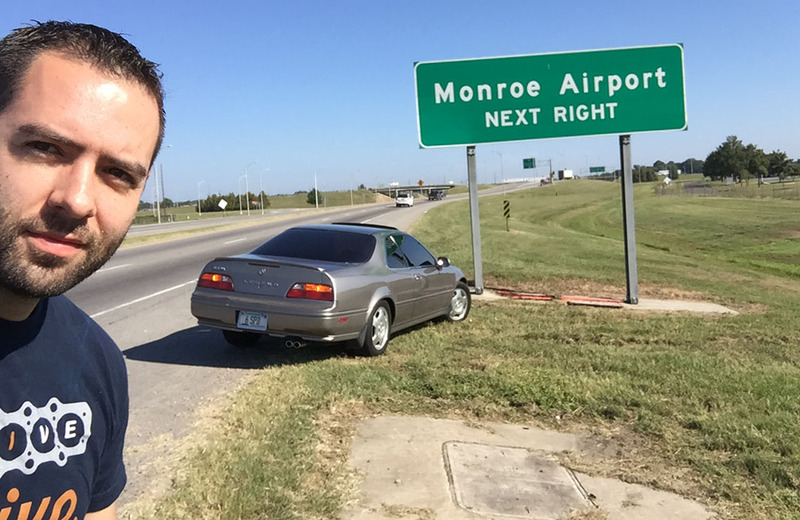 The miles flew by and I encountered miraculously few slow-downs on the interstate. Tonight, I was greeted by the “Ground Team” planning committee members who are putting the event on. Alan Jackson pulled out his informational poster boards and filled the room of 25 or so people in on the game plan for our upcoming couple of days. Tomorrow begins bright and early with an 8:00 departure for our “dyno” event where a few members will have their cars tested to evaluate horsepower and torque performance ratings. 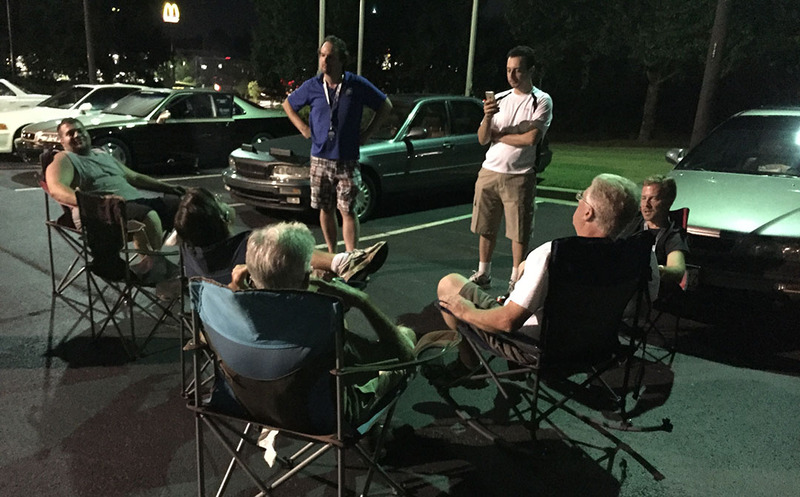 A few of us made our way to the parking lot and carried on some Legend chat. Eric threw me the keys to his 1993 L sedan which coincidentally used to be mine! It’s amazing to see the car here, but now in restored form. Pics of that tomorrow. I also took my friend Marc’s 1994 GS sedan for a quick spin. Both Eric and Marc are based in New Jersey but this year’s event has brought folks from all across the country – including one guy named Leon who drove from Los Angeles and thus has me beat for the long-haul award! 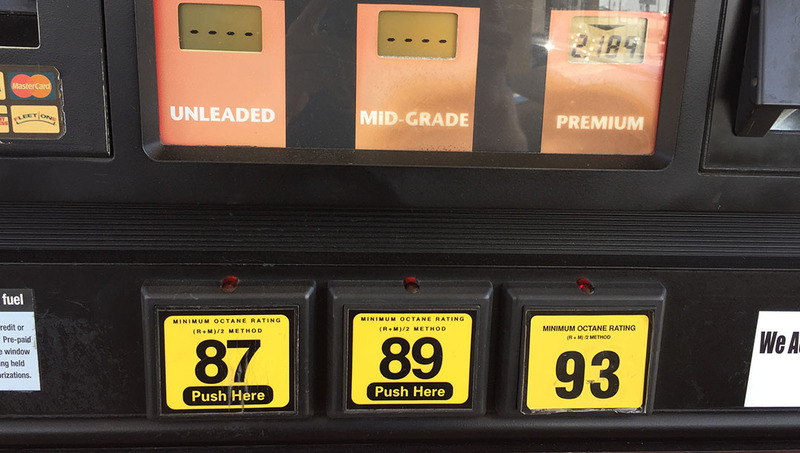 93 octane is tasty stuff. $2.18 is what I paid. Chubby cheeks. This is a town in Mississippi. Saw this on multiple vehicles in Alabama. Must be what they use on recently-sold cars for registration! Closing in on my destination! 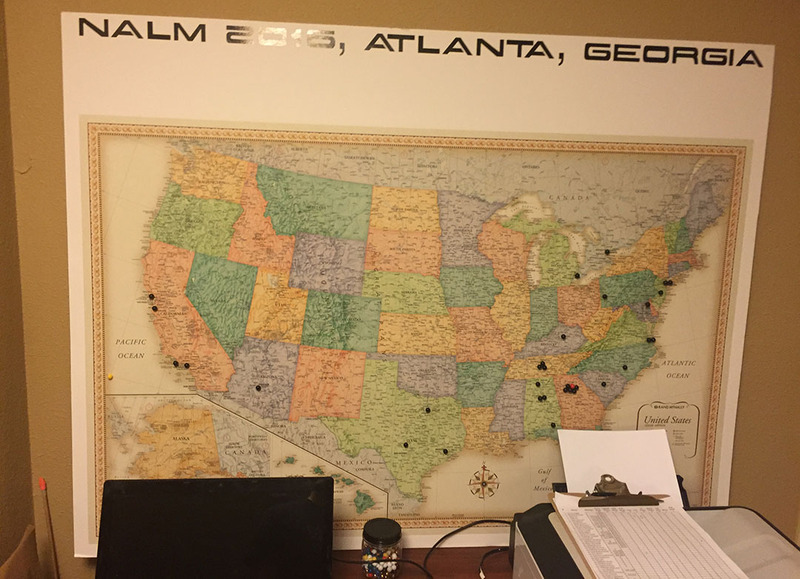 NALM attendee map. The one in Arizona is me! A couple of the Californians didn’t make it, one flew in, and one drove. Rich’s car, twin to mine but a year newer and an automatic. Check back tomorrow when the real fun gets started out here! Thanks for following along! This entry was posted on September 15, 2016 at 7:46 pm and is filed under Legend, NALM, Road Trip. You can follow any responses to this entry through the RSS 2.0 feed. You can leave a response, or trackback from your own site. All these Legends!!! Can’t wait to see the restored ’93L! IT DRIVES SO PERFECTLY! I couldn’t believe it. Thanks for being my first commenter!! You need to check out the south…. 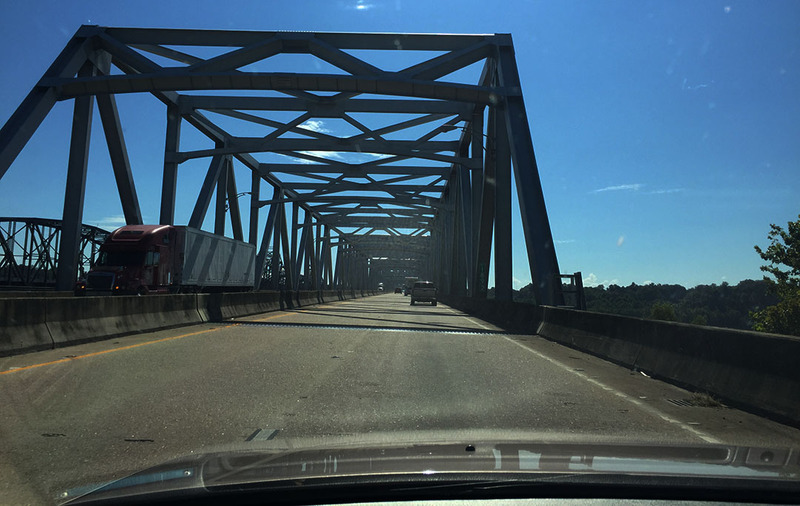 But dang, I’m 45 minutes south of Jackson right now… Home Sweet Home!!! Enjoy the meet!!! 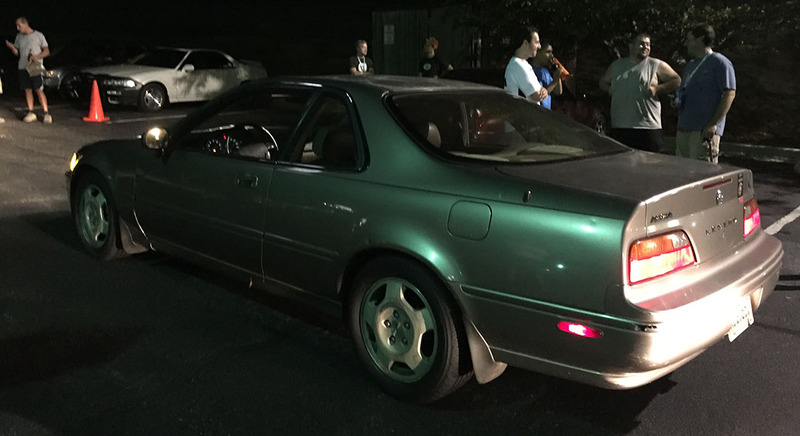 Do you have the highest mileage car at the meet? I am guessing yes. 😉 Who has the second highest mileage? 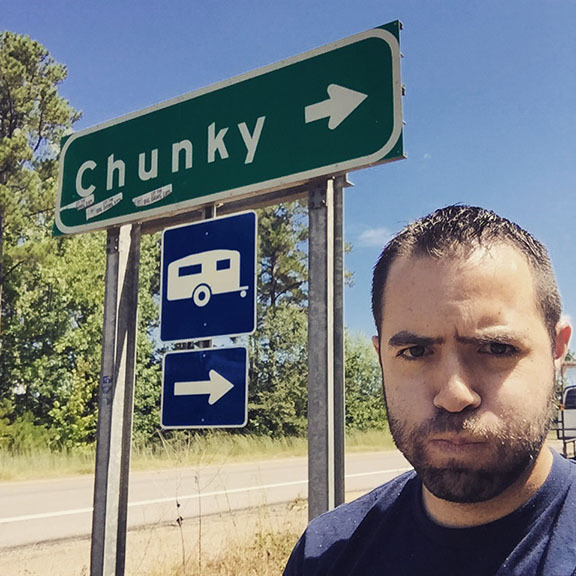 Should have been eating your Burger King at the “Chunky” sign! As Conor said, I can’t wait to see your old Legend Sedan. Really enjoying seeing the Legend doing another epic trip! Is the car giving you any drama, or is everything running well? I see that you took I-20 through Alabama- did you notice the Mercedes-Benz plant a little east of Tuscaloosa? The car is doing great! I did top off the power steering fluid a couple times. Oh, Mercedes plant! That would explain why I saw a road called “Mercedes Drive” in Tuscaloosa (and even took a picture of it). I didn’t know they had a manufacturing facility there. Enjoy all those Legends! Looks like the event is off to a good start.